When a patient is told that they’ll have to undergo chemotherapy, one of their first thoughts is how will they handle losing their hair. The old adage that “knowledge is power” is certainly true in this regard. Unfortunately, many medical professionals have very little insight to offer their patients simply because until recently, realistic looking prosthetic solutions simply weren’t available. Because you care about patients and understand that a positive emotional state is an important factor in recovery, you’ll want to help them with questions about hair loss, but might not know how. 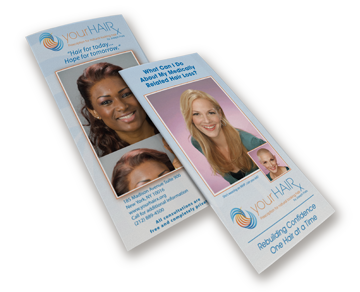 Hand out take home literature that will help them cope with their hair loss. You’ll likely be distributing information about their condition or treatment, we also provide helpful pamphlets. Remember that a brochure might be helpful, but literature that offers real guidance through the process is most important. 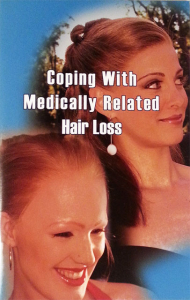 We also offer free copies of our 28-page booklet Coping With Medically Related Hair Loss for distribution. Our literature provides useful information for all those dealing with medically related hair loss, regardless of where they decide to shop. Use the form on the right to request free copies of this booklet for your medical office or organization. You can also refer your patients directly to yourHAIRx.com. The “Patient Info” section contains detailed information as well.